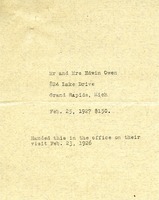 This seems to be a document marking a 150 dollar payment made by Mr. and Mrs. Edwin Owen. 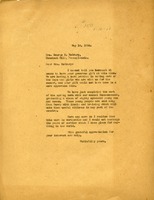 The document indicates that the money was handed into the office on February 23, 1926. 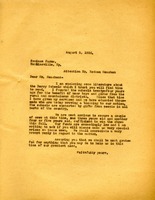 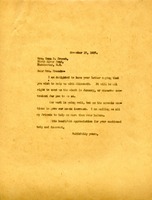 Record of McCormick's donation in response to the twenty-fifth anniversary solicitation. 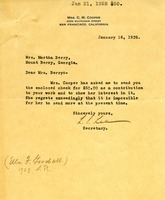 This document is a statement charging Martha Berry for $16,952. 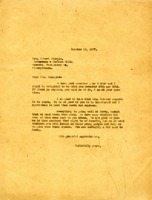 Note about a $200 donation. 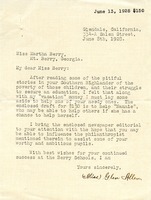 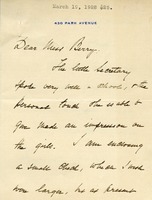 This is a letter to Miss Martha Berry informing her of the $100.00 dollars collected for the Berry Schools. 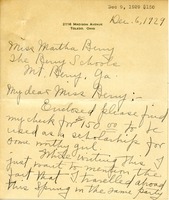 Peavey, treasurer of the Hannah Weston DAR chapter, encloses a $10 donation.